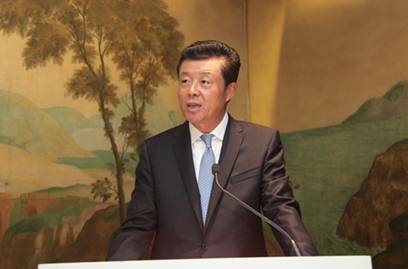 On the evening of August 14, Ambassador Liu Xiaoming attended the Launch of the London Autumn Cultural Season 2014 at Tate Britain held by London & Partners. 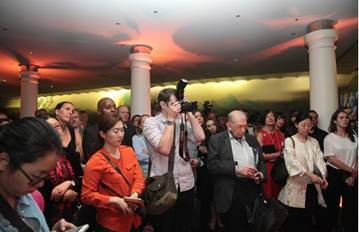 More than 200 guests attended the ceremony, including Deputy Mayor of Greater London Munira Mirza, Managing Director of Tate Kerstin Mogull, representatives from the British Museum, the National Gallery, Barbican Centre and other major art institutions in London, and representatives of the cultural and media circles from home and abroad. Minister Counselor of the Cultural Section at the Chinese Embassy Xiang Xiaowei was present. In his speech, Ambassador Liu warmly congratulated on the launch of London Autumn Cultural Season 2014, noting that building stronger cultural links have always been an important task for the Chinese Embassy. Since the beginning of this year, a number of China-related cultural events have taken place across the UK. These events include: The Masterpiece of Chinese Painting 700-1900 at V&A museum early this year, the Chinese New Year Celebration at Trafalgar Square, the exhibition "Ming: The Golden Empire" opened at the National Museums of Scotland in June and the concert performed by the Chinese Philharmonic Orchestra at Royal Albert Hall as part of the BBC Proms. These events not only display the achievements of ancient Chinese culture but also present a live picture of modern China. Ambassador Liu said that the special exhibition "Ming: 50 Years That Changed China" at the British Museum in September is one of the highlights of the London Autumn Cultural Season. This exhibition will show a rare collection of porcelain, jewelry, paintings and furniture between 1400 and 1450 which was the zenith of the Ming Dynasty. For many items, it is their first foreign tour. Ambassador Liu emphasized that building on previous dynasties Ming people made bold explorations. They contributed many elements to the Chinese culture that the world knows today. These elements include: The Great Wall that spans northern China, the Forbidden City at the heart of Beijing, the Yongle Encyclopedia, which is described in Encyclopedia Britannica as the world's largest known encyclopaedia, three of the four classic Chinese novels and the seven sea voyages by Admiral Zheng He that reached as far west as the shores of Africa. Revisiting those glorious days will help visitors gain a deeper understanding of not only Ming Dynasty in China's history but also China today. The exhibition "Ming: 50 Years That Changed China" at the British Museum will undoubtedly play a big role in applying what we know about a culture to increasing mutual understanding, broadening common ground and expanding cooperation. This exhibition will also lay a good foundation for the 2015 China-UK cultural exchange year. Ambassador Liu wished London Autumn Cultural Season a great success and looked forward to many more excellent cultural events in London and more splendid chapters in China-UK cultural exchanges. 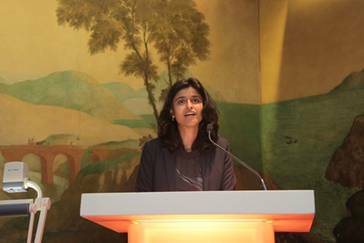 Deputy Mayor Mirza, Managing Director Mogull and several other guests also delivered speeches. 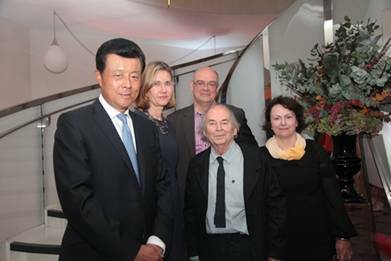 They talked about relevant events of the London Autumn Cultural Season, congratulated on the forthcoming launch of the exhibition "Ming: 50 Years That Changed China" at the British Museum, and expressed the readiness to actively facilitate and deepen China-UK cultural exchanges and cooperation. This is the first time that the Greater London Authority launches and promotes its key autumn cultural events in the form of cultural season. Highlights at the launching ceremony were the exhibition "Ming: 50 Years That Changed China" and the key performing and visual art programmes at Tate Modern, the Museum of London, Barbican Centre and other major art venues. Dozens of media organisations from China, the UK and other countries attended and covered the ceremony.